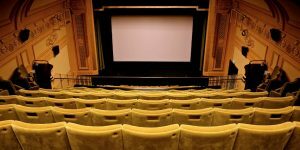 For film fans who live in London or just planning a visit, the Regent Street Cinema is a must-see venue. Opened in 1848, it is widely regarded as “the birthplace of British cinema”. Housed within the Polytechnic Institution on London’s Regent Street, the cinema was the first in the country to show moving pictures when, in 1896, the cinema showcased the Lumière brothers’ Cinématographe to a paying audience. Between 1980 to 2015, the cinema was used as a university lecture hall, but is now re-open and restored to its full, Art Deco glory. This June, upcoming offerings include Billy Wilder’s iconic Seven Year Itch, which highlights Marilyn Monroe at her comedic best, five-time Oscar winner, One Flew Over The Cuckoo’s Nest, Raindance triple-winner The Shepherd, and Escape From History – detailing the Manic Street Preachers’ journey from a period of uncertainty following the disappearance of lyricist and guitarist Richey Edwards to the stratospheric success of their 1996 LP Everything Must Go. The film will be followed by a Q&A with director Kieran Evans.